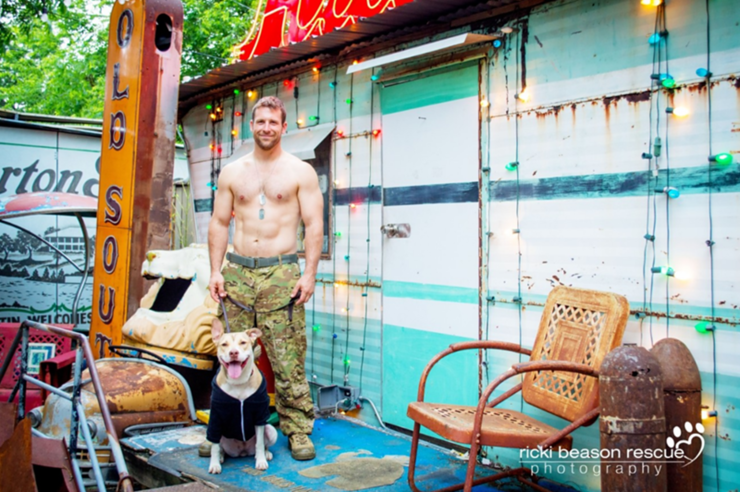 It's a forumla that's pretty much guaranteed to work, pair shirtless service men with rescue puppies, put them in a calendar and use it to raise money for a good cause (in this case for abandoned animals). That's exactly what Dallas-based photographer Ricki Beason has been doing with her annual Heartthrobs and Hound Dogs calendar, the 2017 edition of which has recently come out. 2016 saw military veterans and according to Mashable it raised around $30,000 for rescue shelters. 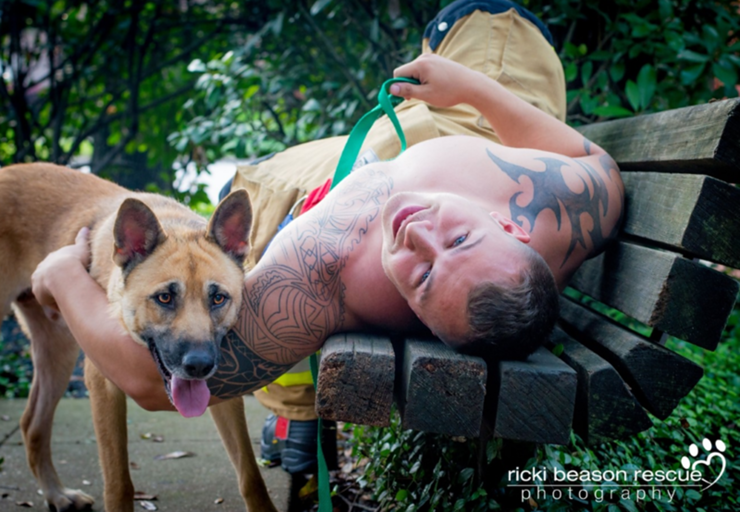 The 2017 calendar features Dallas firefighters, police officers and military vets posing with one of six rescue dogs from local centers. What's not to like? I for one am very excited to get my hands on them. "Heartthrobs and Hound Dogs began because so often there is a misconception that shelter or rescue dogs are 'broken,' that something is 'wrong' with them, or that they can’t possibly be good enough to bring into your home, but that is so far from the truth." Beason explains on her website. "Because of this stereotype, I decided to start a project that would benefit not only the rescues involved, but also raise awareness that rescue dogs are just as wonderful as designer dogs." 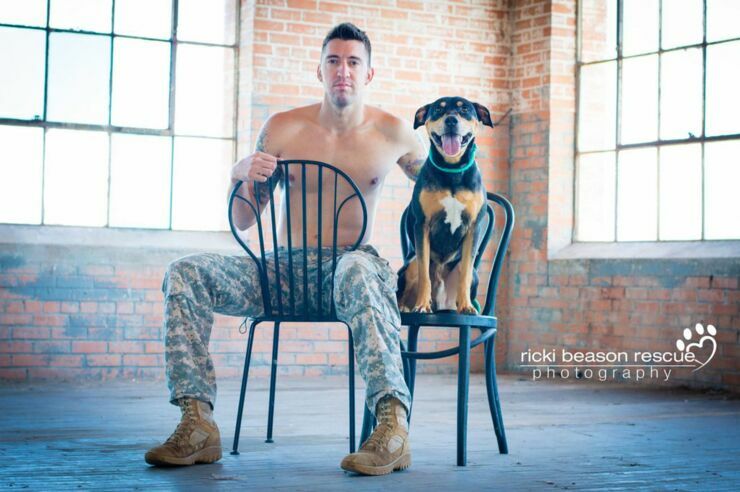 Along with showcasing the dogs Beason also sees it as a great opportunity to put the servicemen in the limelight too. "These brave men put their lives on the line every day to keep us safe, whether it is fighting fires, stopping bank robbers, or fighting global terrorism – these men keep us and our families safe and free." she notes. The fact that they're shirtless is just an added benefit really. The calendars are priced at $20 each and you can buy them from Beason's website. 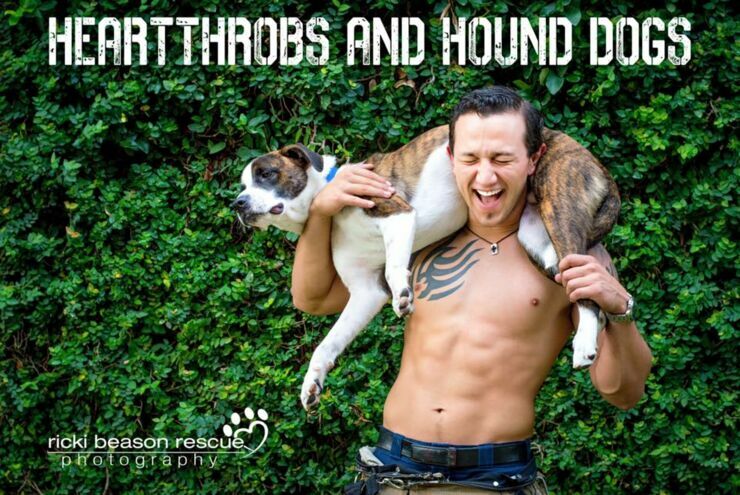 Check out some of the heartthrobs and hounds below.